Another hobby of my is Geocaching. This is more or less walking around with a GPS and some points/hints/questions to find a treasure, a geocache. More information can be found on www.geocaching.nl orwww.geocaching.com. I do geocaching with my Magellan Explorist 210 Europe GPS. 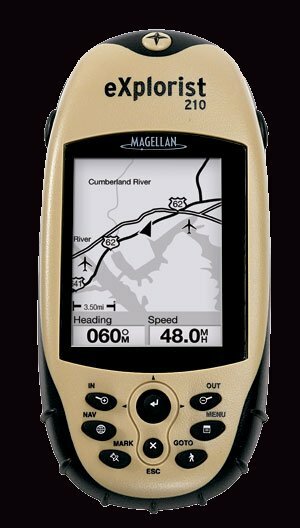 For me it was the choice a Garmin GPSMAP 60 or the Magellan eXplorist 210 Europe. Because of the map possibility both GPS's are nice for my use. The choice in the end was made because of the price of the Magellan. I ordered it at www.futurumshop.nl. It arrived in 3 days. My name at geocaching.com is THeMV. At my office there are also some other people who are geocaching, an overview is here.